For Fall 2017, I’m teaching a volunteer class for Breast Cancer Action Ottawa (please see below). Also available for private or group lessons, in your home or office, and for girlie get-togethers. Flexible schedule, reasonable rates; I provide great music, colourful hip scarves, instructional notes, and cover all the beginner basics of Middle Eastern dance. 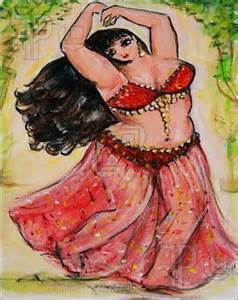 Contact me at: fatcatbellydance@gmail.com and let’s have some fun with fitness…shimmies and smiles! Need to find a class that suits your schedule and skill level? There are lots to choose from. Check out the City of Ottawa Recreation Guide, or http://www.duniyastudio.com …or go to my favourite source for all things belly dance and Bollywood, on Halyma’s website at http://www.tav-creations.com Click on teacher listings and classes. You can sign up for her free weekly online newsletter, and stay informed about upcoming events happening in our community…so let’s all sign up for some smiles, and make the season shimmy-licious! What to wear for class: Anything that is comfortable and stretchy…and you don’t have to show your belly!! I would suggest yoga pants or capris, a tank-top or tee-shirt, and bring a sweater/hoodie. You may wish to dance in a long skirt, provided it won’t present a tripping hazard. Footwear can be anything comfortable, that will not slip when you walk, and allows you to move easily, such as soft-soled slippers, or flat sandals with ankle straps. You may even wish to try dancing barefoot. I don’t recommend wearing running shoes or trainers…too bulky and may hurt your ankles! For your accessories, some sort of large scarf or lacy shawl, folded and worn wrapped at the hips, will accentuate your great new moves. Check your closet – there might be one just hanging there, too colourful or gaudy for everyday, but perfect for dance. If you already own a coin belt or coin scarf, you may wish to show it off, but please don’t feel obligated to buy one. I can provide some shiny items to borrow during class. Feel free to load on the jewels; whatever makes you feel pretty. Accessories can help train your brain to focus on the area of the body that’s learning new movements. A water bottle is a good idea, and the most important thing you can bring is your smile…it’s a dancers’ best accessory! Safety First!!! My wish for you is to enjoy a fun, relaxing class. Bellydance is a low-impact form of exercise, and considered very safe. Always listen to your body, and don’t push yourself too hard. Everyone learns at their own pace. Many of us live with aches and pains, as part of the less joyful aspects of aging. Some of us have chronic conditions which make any form of exercise difficult or painful. Bellydance can help gradually strengthen core muscles, stretch out those stiff joints, loosen up that nasty tension in the torso, and make you smile! Please feel free to ask questions or express concerns regarding any of the exercise movements proposed in class. We can always modify your level of activity, to ensure everyone participates safely. Remember, we’re here to have some fun, learn new stuff, and express our inner diva through the joy of dance!